Megan-Jane Lockyer at Santo Horse Adventures operates out of Lope Lope Adventure Lodge only 5 minutes walk from Mahi Mahi Villas. 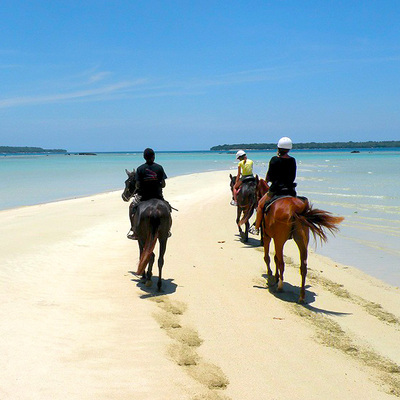 She caters from 1st timers to experienced riders and this excellent journey takes you through lush plantations, golden sandy beaches a ‘must do’ activity in Santo. Horse Sanctuary for the last 10 years. 100% Locally owned and operated. Local Identity Fabrice Moderan was born on Aise Island and can take you to fishing and snorkelling spots nobody else can access. He has a large range of excursion options from 7 hours big game , to leisurely snorkelling or dugong and turtle watching trips. 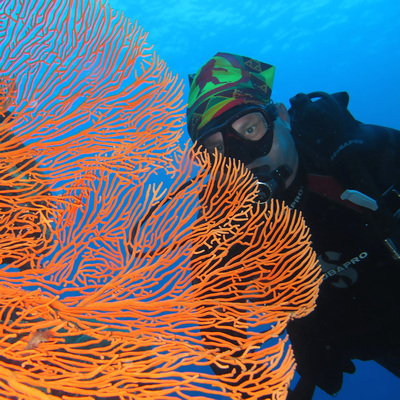 He is a wealth of knowledge and his closely guarded snorkelling sites are some of the best in the South Pacific. He will fillet the fish for your ideal self catering stay at Mahi Mahi Beach Villas. A sedate 15 minute walk along the beach is Moyyan House by the Sea. As well as having an excellent Restaurant and Bar it also offers day Spa facilities from full body massage to face, hand, feet and eye treatments. Moyyan Day Spa has it all. Bookings are essential on +678 36160. Enjoy. Rating the number one tourist activity on Trip Advisor this tour is definitely in World Class. 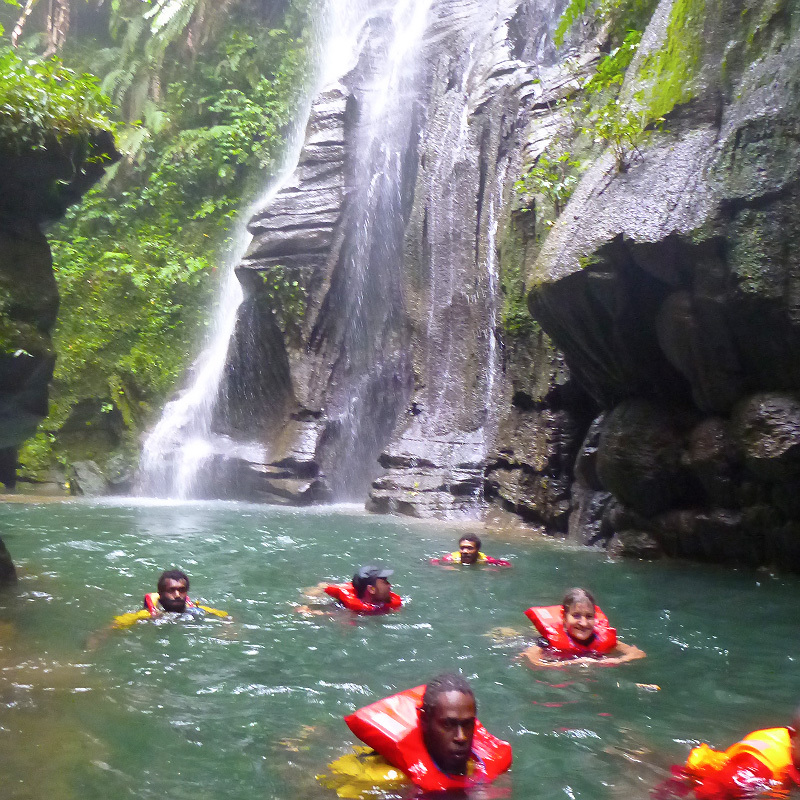 A fantastic combination of bush trek, cave tour and canyoning – something you will never forget!!! Guides will lead you through narrow jungle paths, over a bamboo bridge, across creeks to reach the Millennium Cave. This massive cave stretches 20m across and some 50m high, home to bats and swallows, high up in the roof of the cave. This energetic full day tour requires some degree of fitness and is not suitable for small children. Free pick up from Mahi Mahi Beach Villas. 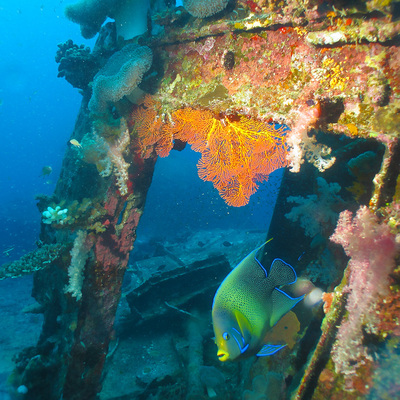 Only 20 minutes from Mahi Mahi Beach Villas you can snorkel over a fantastic range of World War 2 relics. Have fun identifying the rusty remains of jeeps, tanks, motorbikes, vehicles, guns and ammunition, as well as the inhabitants that live there, magnificent coloured fish and coral. When the French Government after the war quibbled over the price of millions of dollars worth of equipment the Americans just drove them all into the water, hence the name Million Dollar Point. Open at all times a small cover charge is payable. Santo offers arguably the best diving in the world. The SS President Coolidge is the largest accessible shipwreck in the world. The Coolidge is close to the shore and is virtually intact. Sunk by a friendly mine the ship lies in 20-70 meters (66-231 ft) of clear, calm waters and offers divers the chance to explore the remnants of a World War II troop ship, which was formally a luxury liner. Other wreck dives are available on the USS Tucker and MV Henry Bonneaud. 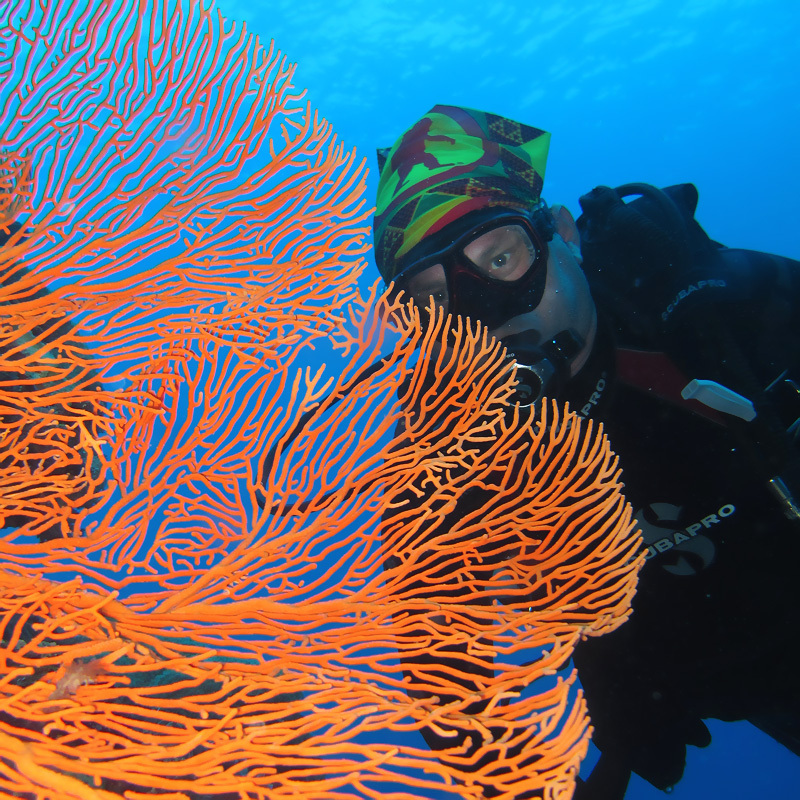 Fantastic reef diving is also offered at Tutuba Point, Palekula Point, Henrys Place, Cindys Reef and Aore Wall. With the opening of Champagne Highway in 2009 the East Coast and its beautiful beaches, blue holes and resorts is now very accessible. The Highway stretches from Luganville to the very French settlement of Port Orly some 45 kilometers.